One of the most popular social sharing app Telegram is launched for Tizen smartphones. Users have been waiting for this app since last few years and finally third-party developers released it. This app is not official but released by other developers because of users demand. Basically this app is all about instant messaging. In the world more than billions people uses it to share contents with the family and friends. This messaging app is simple to use, fast running and secure to use. It contains great features with the strong privacy. Telegram is a fast running massaging app. It is used to connect people via network whom you can’t meet or want to contact with them. It is introduced with simple language and clean interface so that you can use it easily. On Telegram, your messages, shared media files, groups, chats, etc. is secure because it will take care of your privacy and never give permission to anyone for access your data. Telegram has interesting features like secure chat. Secure chat is invented for those who want extreme level of privacy. Using this you can share any kind of private informations, photographs and even files also. 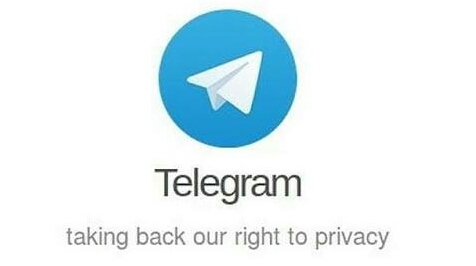 Telegram cannot show any type of advertisement or charge any fees to download and access, It is free of cost. It is very reliable messaging app and it works even when the internet connection is very poor. As I said Telegram app is developed by third party developers. The official Telegram app is still not ready for Tizen smartphones. You have to wait some more weeks or months to get official app. The app is available for all the Tizen smartphones including new Samsung Z4 and supports fine with new Tizen 3.0 software update. To download Telegram on your device go to Tizen Store. Now developers added new update for Telegram app on Samsung Z2 & Z4. It rolled out for improvements over existing features. The app promised to bring more functions into the later update, that suppose to scheduled for next month. New update is waiting in Tizen Store so you must install it.